When Eva’s husband leaves her, she finally wakes up from her Sleeping Beauty slumber, but not as a princess. Thirty kilograms overweight, she struggles up out of her sofa and for the first time in her life does something just for herself. 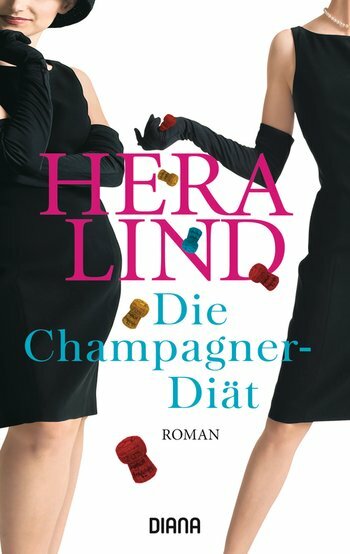 With incomparable humour and filled with sympathy for every gram of extra padding on women, Hera Lind tells the story of an overweight woman who finally truly begins to live. The cheesecake is still warm when Eva’s husband shuts the door behind him. Just as Eva was looking forward to a cosy evening, her world falls apart. How could she possibly deserve this after all these years? Admittedly, nearly 100 kilograms doesn’t look so good anymore, but aren’t personal values worth something after 13 years of marriage? It doesn’t take Eva long to find out that men find inner beauty exiting only up to dress size 36. Fortunately, computers are just as blind as men. Eva tests out her market value in a chatroom and then takes on a whole new role – initially out of desperation, but then out of a pure lust for life.